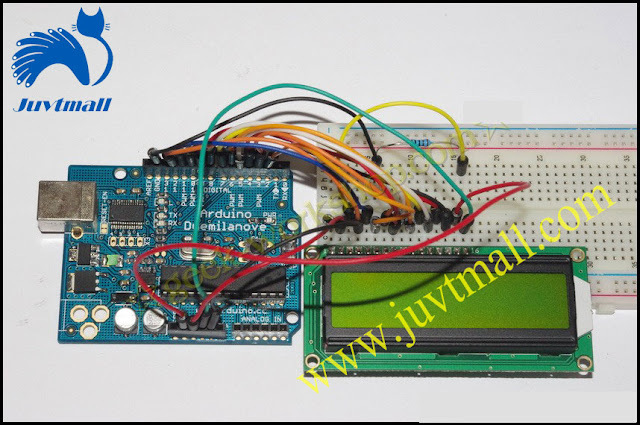 In this experiment, using arduino to drive 1602 liquid crystal display directly. 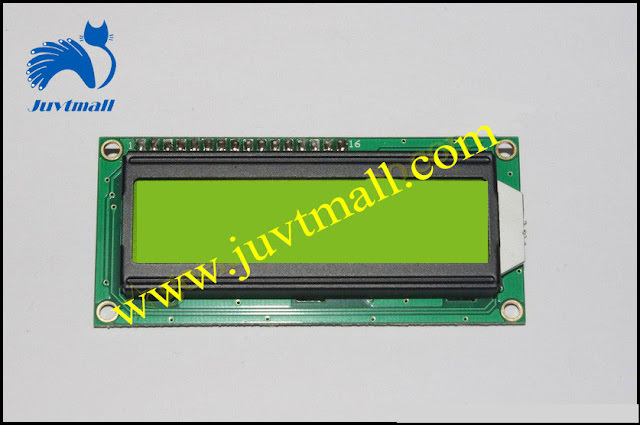 1602 LCD is widely used in the application, the original 1602 LCD using the HD44780 controller, and now all manufacturers of 1602 modules are basically compatible with the IC, so the characteristics are basically the same. The character size is 2.95 × 4.35 (W × H) mm. 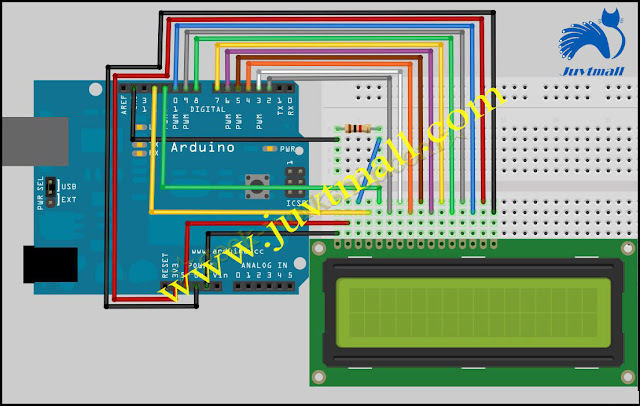 1, Two groups of power supply: one group is the power supply of the module, the other group is power supply of backlight, which are generally used 5V power supply. Backlight also can work with 3.3V power supply in this experiment. 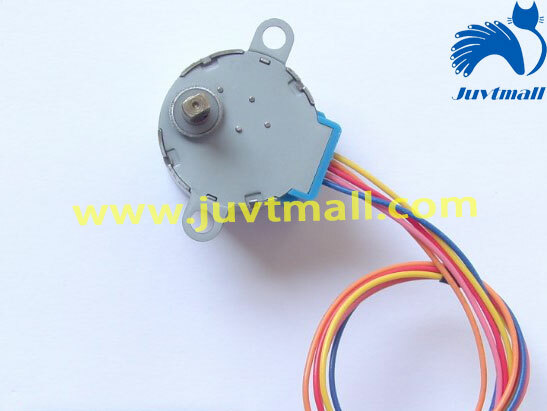 2, VL is to adjust the contrast of the pin, the series is not greater than 5KΩpotentiometer to adjust. This experiment uses a 1KΩ resistor to set the contrast. The connection is divided into high level and low level. The low level connection used in this experiment, series 1KΩresistor and then connect to the GND. Note: Different LCD has different contrast resistance , it is best to take a potentiometer for testing, This experiment used 1 KΩ resistance in other LCD is not necessarily correct. 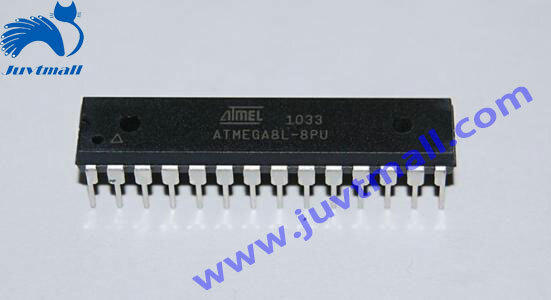 3, RS is a pin used in a lot of LCD, is the command / data selected pin. when the pin level is high, the data will be operated; low level of the pin means the command will be operated. 4, RW is also a pin used in a lot of LCD, is the reading and writing selected port. when the pin level is high, that is to read the LCD; low level of the pin means the writing will be operated. 5, E is also a pin used in a lot of LCD, is usually to read the data after the bus signal stabilizing for the positive pulse notification. the bus is not allowed to change when this pin is high level. 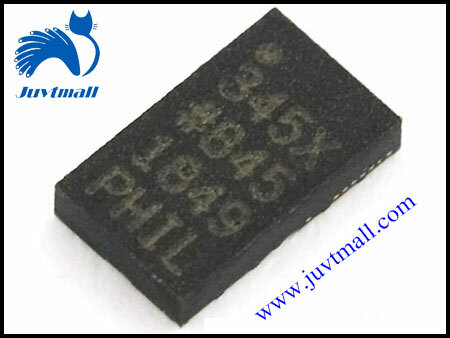 6, D0-D7 8-bit bi-directional parallel bus, used to send commands and data. 7, BLA is the backlight positive, BLK is the backlight negative. 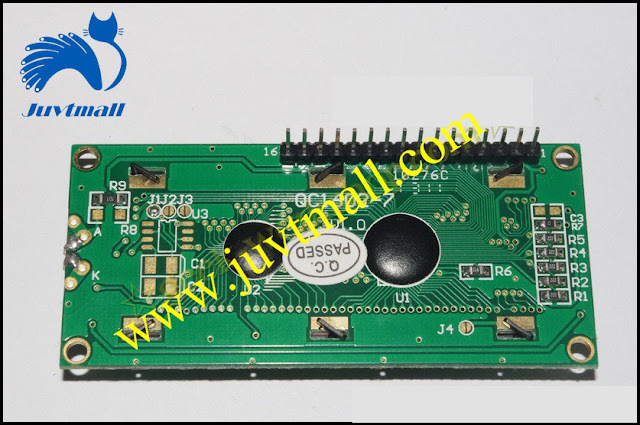 11. digitalWrite(i,value & 01);// because 1602 LCD signal identification is D7-D0 (not D0-D7), here is used to reverse the signal. 83. LcdCommandWrite (0xc0 + 1); // Defines the cursor position as the second position of the second row. 113. LcdCommandWrite (0x02); / / set the mode as the new text to replace the old one, no new text where the display is unchanged. 115. LcdCommandWrite (0x80 + 5); // define the cursor position as the sixth position of the first row.